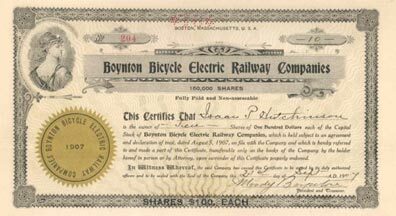 Eben Moody Boynton was an entrepreneur and inventor in the 1880s and 1890s. 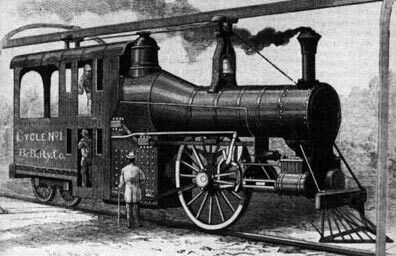 Though railroads had already been in common use for nearly 60 years at that time, experiments with their efficiency were still ongoing. and another track overhead, resembling a monorail but with two tracks instead of one. 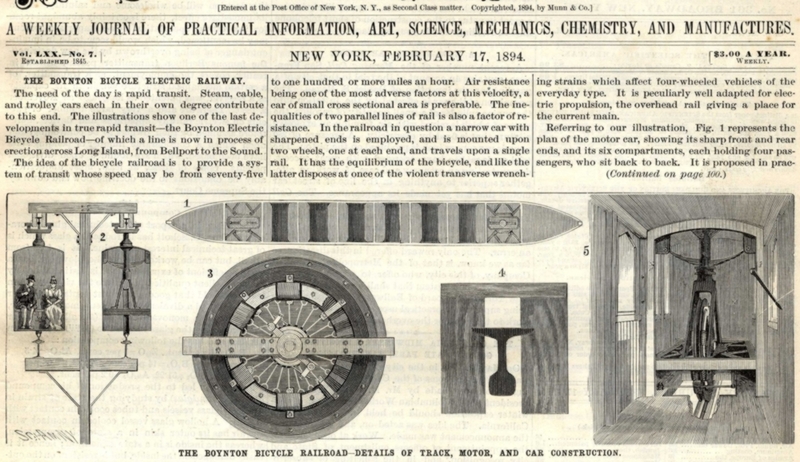 Boynton claimed such an arrangement would enable trains to run at the unheard-of speed of 60 miles per hour. 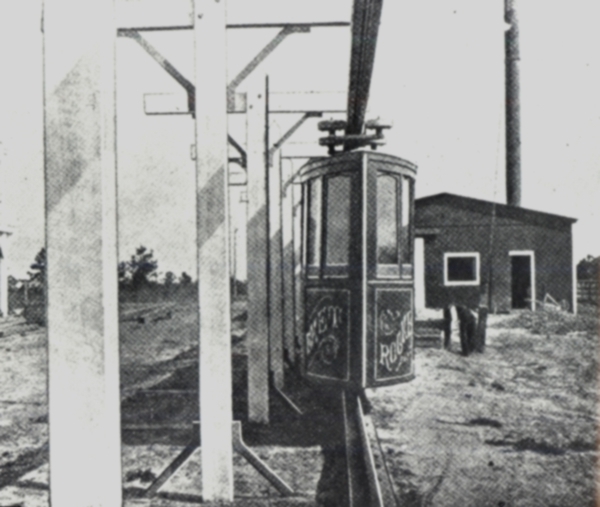 An experimental locomotive, train and tracks were constructed in the Coney Island grasslands. 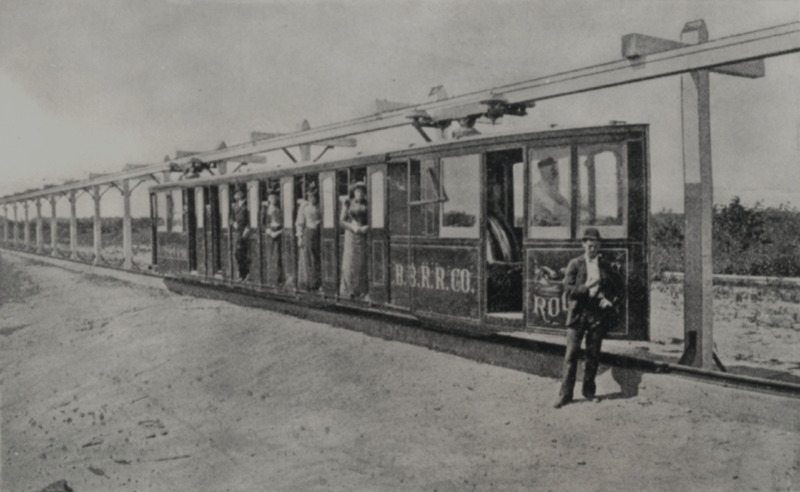 His locomotive, "The Flying Billboard", weighed 4 tons, and pulled a series of double-decker passenger coaches only 4 feet wide. had there been sufficient track for it to reach full velocity, and the ride was so smooth that the upper rail hardly seemed necessary. He was never able to obtain enough backing to expand. 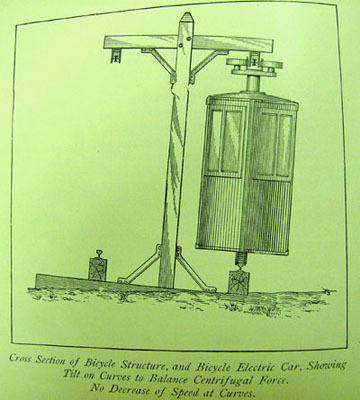 Frederick W. Dunton was a spectator at the Boynton Bicycle Railroad Demonstration and saw great possibilities. 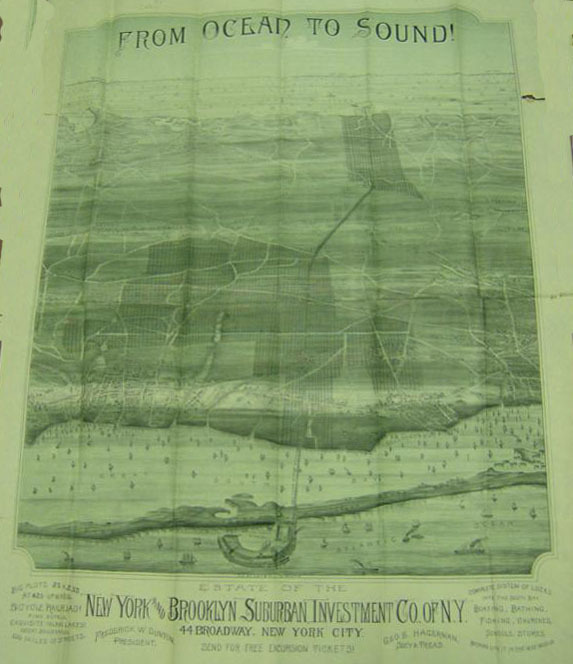 he formed The New York & Brooklyn Suburban Investment Company. F.W. Dunton was named president and George E. Hagerman the secretary & treasurer. 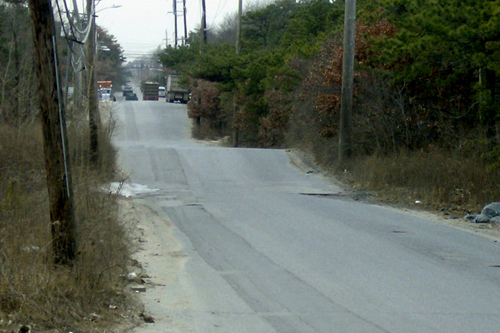 operated a large lot selling development in the area of Bellport & East Patchogue. 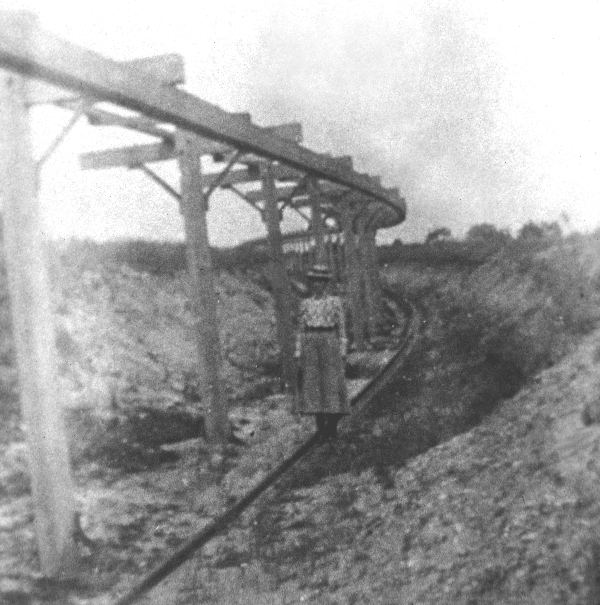 Work had begun on the first twenty miles of track when problems begun to plague the operation. 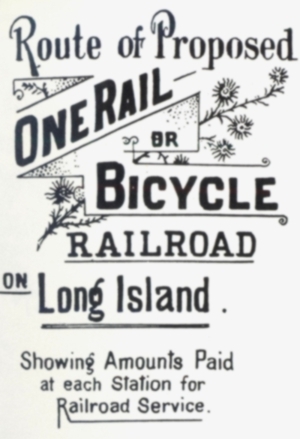 Mr. Dunton’s pet scheme, so far as crossing Long Island is concerned, will not be realized." 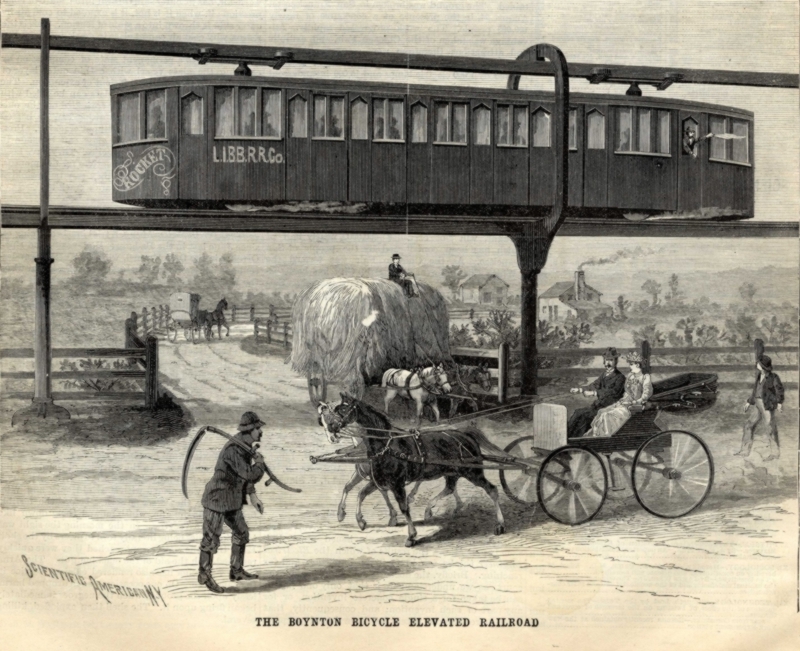 The "Rocket", the electric railcar of the Boynton Bicycle Electric Railroad, in an illustration from Scientific American, 17th February, 1894.
being pulled by twenty four powerful oxen, it attracted great crowds. The beasts were as much a curiosity as the car itself. 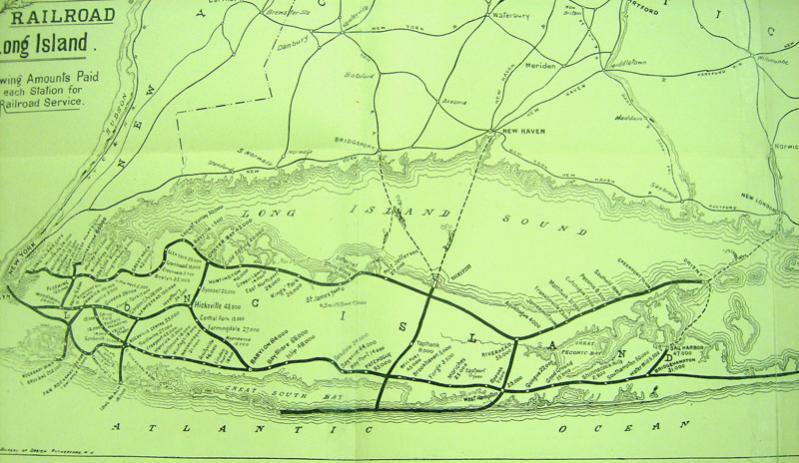 Mr. Dunton completed a one and a half mile test track, running north to south on a location in East Patchogue. 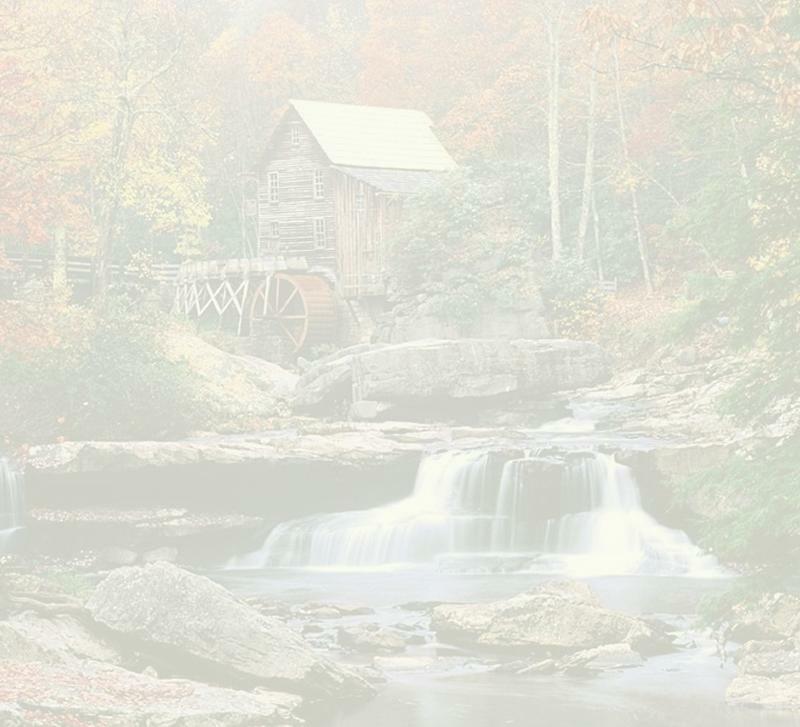 In 1894 the trial runs began as dignitaries and VIP’s were invited from all over the Northeast. 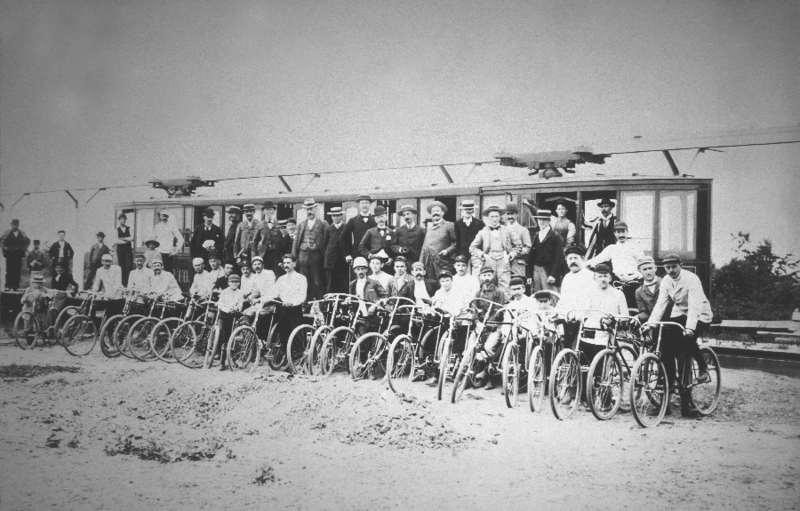 depots to the Bicycle Road were run on the arrival of the trains. 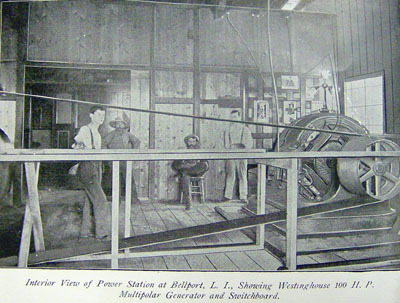 The electric powerhouse was built on the south end of the track by the bay and the track ran north to the central line of the Long Island Railroad. 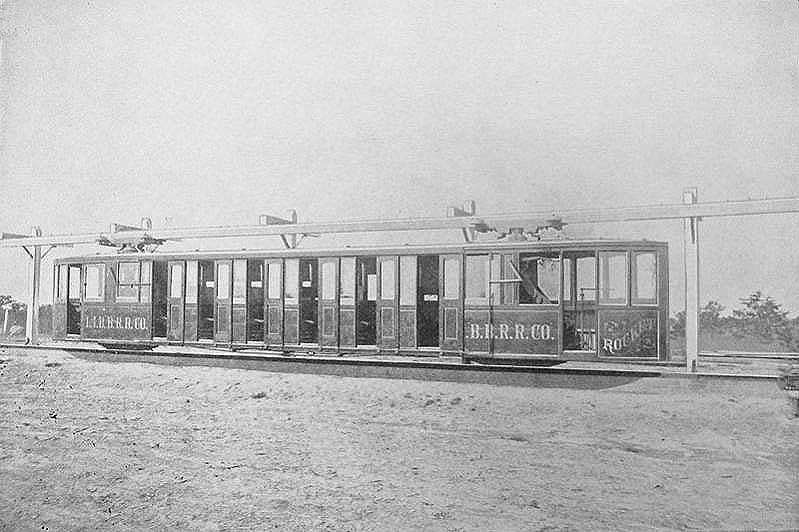 The railroad consisted of heavy, wooden framework with a single rail at the top and bottom. Today, the old right of way is now called South Dunton Avenue. Ultimately the system failed. The cost of the enterprise was estimated to be $1.6 million. They never made it. The promoters are just names now. Hagerman, a small lovely community and Dunton, a road in East Patchogue. Even in failure these men should be remembered as visionaries who helped shape Long Island into what it is today. The "humps" in the road are due to the raised beds of the old Bicycle Railroads Right of Way. The streetbuilders were too lazy to level it so they paved it over!